Saturday 2nd September 2017 - starting at 1.30 pm. St Ives Jumbo and a flotilla of other sailing boats in St Ives Bay. 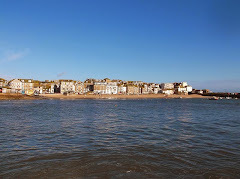 Scully Race - starts around 3.30 pm beside the Old Slipway on St Ives Harbour. 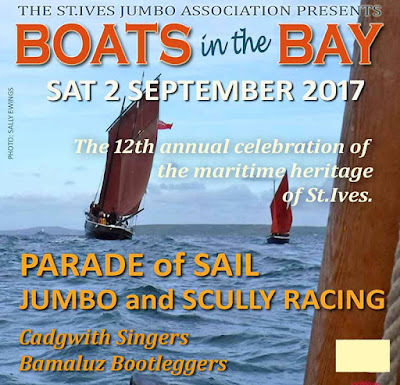 Singing with the combined voices of Cadgwith Singers and Bamaluz Bootleggers.